Seasons 4 replacement for Tempmaster. Shipped and rigged in multiple pieces, ready to be placed into service on Monday morning after a weekend changeout. Seasons 4 specializes in providing direct replacement units. While the mainstay of our work has been replacement of mutlizone units, we also provide replacement for single zone units. Over the years manufacturers change opening locations, utility connection locations as well as many other aspects of their equipment which makes replacing these units both expensive and complicated. Our claim to fame is our ability to match the existing curb and utility locations without the use of a curb adapter and we do it well! Seasons 4 understands the commercial property/rental business is competitive. Your customers are fickle and will not stand for poor ventilation and air conditioning. A direct replacement for a company who is defunct or out of business can be a real life saver for rental property owners. Seasons 4 has replaced units as large as 400 tons over a weekend and had the replacement running on Monday when the tenants arrive back for work. Companies like Tempmaster who made large penthouse type units or Alton who made custom and unique shaped units where using a curb adapter is next to impossible. 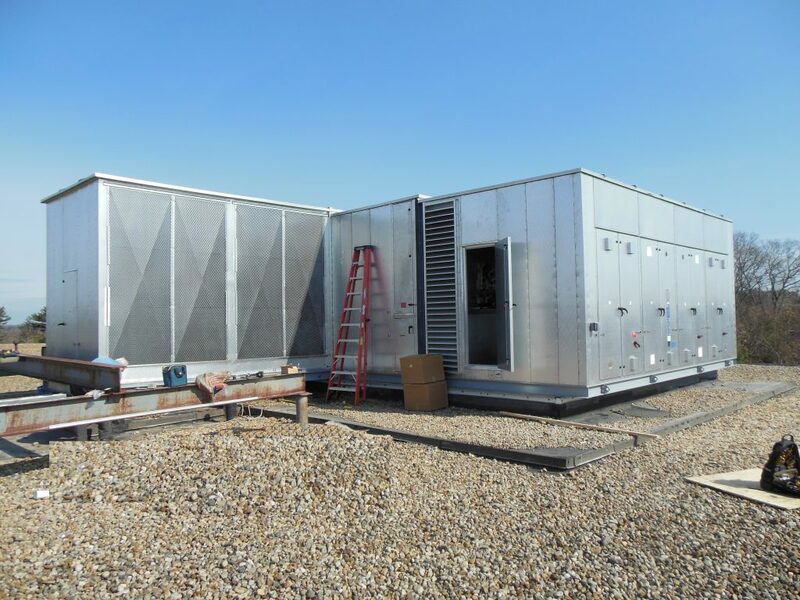 Large high rise multi-story buildings typically utilize large HVAC units that feed central ventilation shafts. Utilizing a curb adapter in a situation like this is next to impossible. The building steel was designed for the unit to be placed in a specific position making relocation of a new unit to fit the openings to the building impossible without extensive steel redesign and retrofit. Adding or renovating ductwork to accomodate a new unit that does not properly fit can be time consuming and expensive. A Seasons 4 direct replacement unit makes the best sense when time is of the essence. Find a Seasons 4 representative to learn more about what is available for your building.